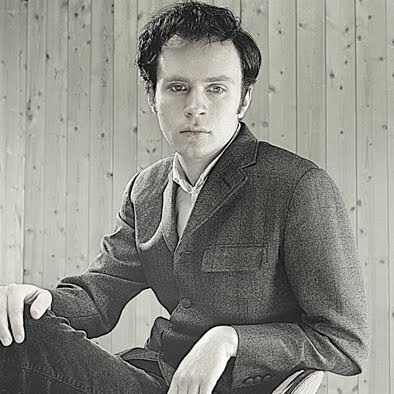 There are a couple of distinct camps, in my experience, when it comes to the music of Jens Lekman. Some friends I've talked to consider him to be cloyingly poppy, very nearly too theatrically melodramatic in his ups and downs on albums like Night Falls Over Kortedala the compilation Oh You're So Silent Jens. While I can understand their arguments, with the nonsensical lyrics and orchestral arrangements making "big deals" out of small things, I fall squarely into the opposite position. Lekman has the skill to thrill and pluck every emotional chord through mood as well as any other band/artist. And he does it with a capable self-awareness that distances him from an emo tag that would lay an additional sappiness on his work. On Friday, my friend John pointed me to Lekman's website/blog Smalltalk, on which Lekman has posted a free downloadable compilation of remixes called A Summer in 3/4 Time. On the "album" Lekman marries 13 songs all in 3/4 (and in some cases 6/8) time from Au Revoir Simone, The Morning Benders, Chad & Jeremy, Peter Drake, Sharon O'Neill and many more. The result is 28+ minutes of exceptional musical dialogue. One that wanders from pop happiness, to calm, contemplative coming of age narratives. And as this blog takes shape, the set of tracks has played through three times, looping, and there's no way I'd think of turning it off. It feels like summer. It feels like new directions, new places, all settled in a timeless shell. Opening with the aforementioned Au Revoir Simone's "Shadows" from Still Night, Still Light, Lekman drops in a marching beat and some very Lekman-esque string arrangements that build the pace of a project that captures the self-discovery, journey and quiet wandering that comes so easily during summertime. Lekman manages to mix in a lot of sadness and big question mark moments, with some philosophical notes that give the mixes lovable gravity. Barbara Mason's "Oh How It Hurts" caps off the Au Revoir Simone opener perfectly, which lifts up into Thomas Mapfumo's "Madiro" a fast-paced track that unloads the heavy mood. The Morning Benders rolled into Mapfumo's song makes for a notable highpoint in the set. And from there the music holds strong, latching onto the sounds and images of summer, until the closing, chill-out track "Like A Sleep Blue Ocean" where it feels like a combination of a cooling summer night, or perhaps even the end of the season altogether. A Summer in 3/4 Time is a photograph album of all the big summer moments, love lost, love found, dancing, hope, life, newness rolled into a single long-playing track. And Lekman's trademark sentimentality reigns supreme. This is a set of remixes that makes you happy and then sad and mostly contemplative. Since Lekman's main contribution comes in the form of arrangement, you never hear from him, but it remains clear that he has an incredible grasp on what music can do to our emotions, and how powerfully music joins with memory. This set feels like this summer, but it also feels like every summer I can recall: Warm, but fleeting and filled with irreplaceable memories.